Nothin' like coming home to a box of goodies from Stampin' Up! I couldn't wait to dig in a start playing with it all. Here's a little taste of spring today. 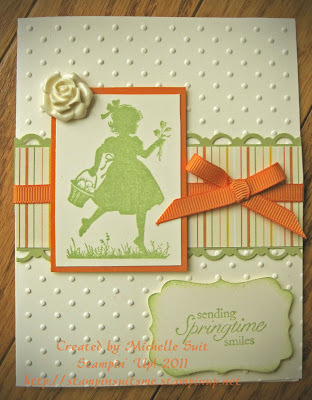 I used the "Easter Blossoms" stamp set and I love it. I hope it brightens your day.